I had to delete the picture of the roundworm in my recent post. 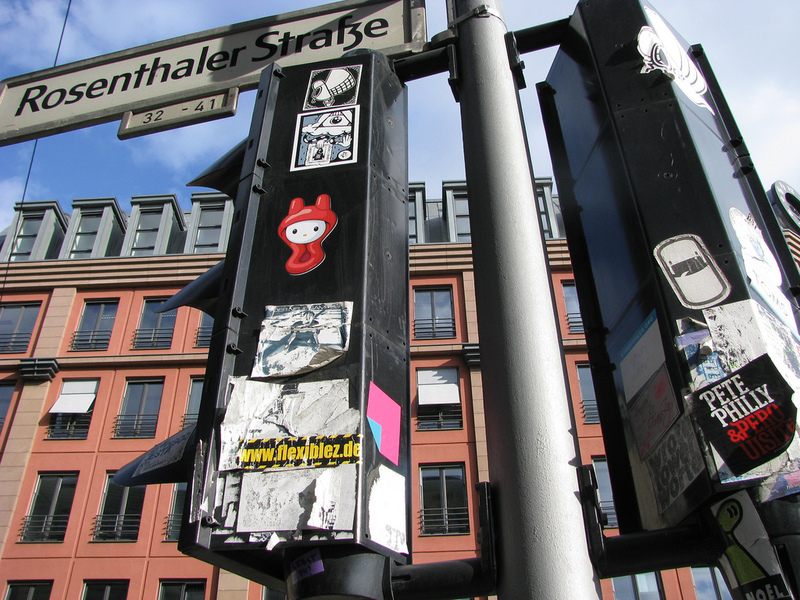 It was a visual buzzkill, and there’s no need to keep it in the valuable Stickerkitty archive. Hmmm. With recent posts regarding road kill, roundworms, and parasites, it must be the time for mid-term elections. On a brighter note, the street art exhibition is coming along well. My photographs are in and being framed. Bridget is fine-tuning her FB installation. Kat is working on text panels. I need to hear from Charlie. The exhibition card went to the printer yesterday!!! This weekend, I’ll start to put together the sheets of actual stickers thematically, which will then also be framed. Oh, I almost forgot. I pulled an Arthur Rothstein on the image for the front of the street art exhibition card. Rothstein, a Farm Security Administration photographer during the 1930s, manipulated certain scenes taken out west during the American Dust Bowl era. 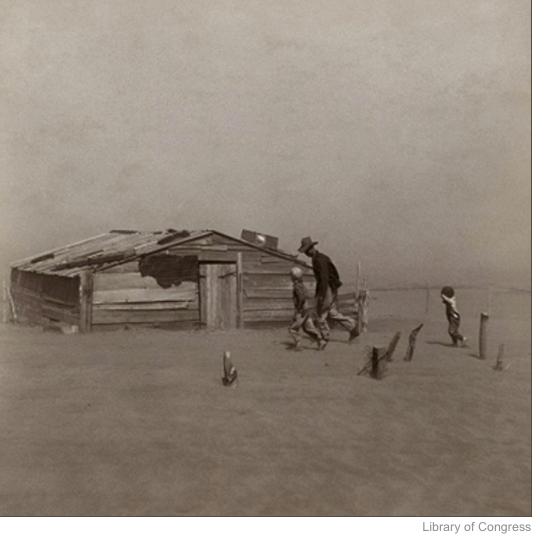 In one photograph, he moved a bleached cow skull from a section of grass onto parched earth; in another, Fleeing the Dust Storm, he staged a man and his son walking in front of a worn down shack in such a way that is said to have exaggerated their suffering. Republican politicians used Rothstein’s photographs to attack the credibility of the FSA and argued that Democrats used the photographs to make environmental conditions look worse than they actually were in order to pass controversial legislation through Congress. My original photograph for the card is here below. I “added” a sticker, and you’ll have to check the card itself to see the magic of Photoshop.